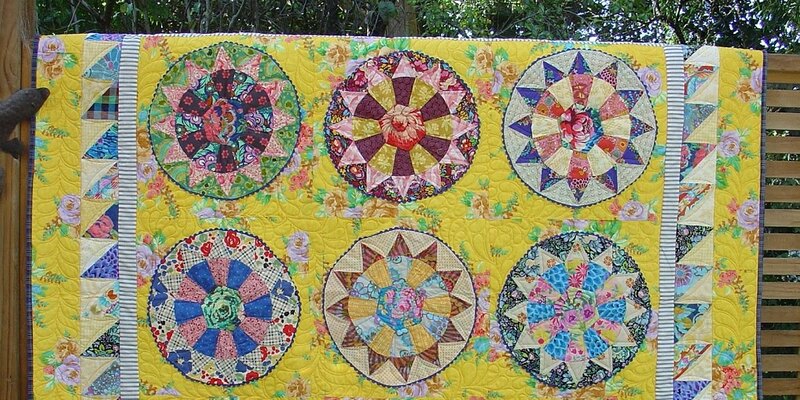 Thanx for all the comments (from email & blog) re my two Churn Dash quilts! I am going to chat with Annette @ Wild Cotton Quilting tomorrow about quilting options for the cot quilt .....I have in mind something swirly but we'll see. I just love getting things in the post & last week I got a new book - "Liberty Love" by Alexia Marcelle Abegg. There are little & big quilts to make, plus accessories like pincushions, tote bags and a rather cute classic kiddies dress from the '60's. The quilts, while having a vintage background, have a modern twist to them ...... using solids and subtle cream/white prints. The pattern for the Marcelle Medallion Quilt is in here too - and, judging by the interest I've seen lately , quite a few people having been making it!!! Inspired by a vintage quilt, and with lots of piecing, and grey & white low vloume backgrounds!!!! Yesterday I found a new magazine at my local stationery shop. 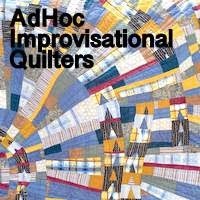 A magazine devoted towards showing quilts with a stong emphasis towards the newer quilter. And, I guess, the more modern quilter?!?!?!??! There was a good article about the pros & cons of joining a guild.......one awful experience can be enough to put anyone off, but I must say politics & clickiness aside, being with like minded quilters is always refeshing & inspirational. She entered into the QuiltCon competition &, on reading the judges critque comments she recieved, I think this is why people are v.reluctant to enter their quilts in judged shows. Check out her blog. I saw a modern version of the Churn Dash block over on Crazy Mom Quilts. So a few weeks ago I started my version using Ann Kelle Remix Ovals & Bella solid white. You know....sometimes you think it'll be a good idea then, .....when you actually get down to the sewing it's not. I stared at it for days, really trying to get enthus'ed!! but I hate it!!! I notice NOW that all the geometric fabric should be running the same way. If you look closely you will note that my fabrics had a mind of their own!!!!! Anyway, I decided that I would stop after 6 blocks so as not to waste any more fabric & turn it into a cot quilt. I think it could take some serious quilting now. Determined to try again I then played around with some "low volume" (pastel?!?!?) fabrics. This turned out to be much more fun - there's just enough blur between the prints & the background to make a wee contrast thingy happening. I have continued to cut out a few more hexagons - it's really kind of addictive! I am using mainly Kaffe Fasset fabrics from my stash, & you only need a little bit for each segment of the hexagon. I'm also auditioning for the border, but so far I think I need to keep an open mind. Anyway realistically, it'll be ages before I get to that stage!!! In between time, I have caught up on reading lots of other patchwork blogs. There is an interesting read over on http://littleislandquilting.blogspot.co.nz/2013/03/housekeeping.html ......... about the use of the colour brown !!! and how she sees not "just brown" but purple brown, chestnut brown, chocolate brown, caramel, golden, etc. I know I tend to avoid browns. And earthy colourways don't really seem to show up in modern quilts either, but maybe our next Monday Modern challenge could be to use a bit of brown?!??!?!?? Another interesting read is over at http://aquiltisnice.blogspot.co.nz/. .........about "low volume" quilts & using the good old traditional Churn Dash block. The result is really quite lovely!! Low volume quilts, using predominantly white/light/or neutral background fabrics, have been catching my eye again just lately. I made a wee cot quilt not so long ago using lights, pastels with small prints and larger scale graphic prints. I think I would find a larger quilt with this overall soft, almost ethereal, effect quite easy to live with. I'm off to sort some fabric!!! I have had a couple of hand made blocks up on my small design board for quite a while now... you know....for when you are sick in bed & can only just do hand piecing!!! I keep thinking I should make more, so today I finally got busy cutting! I'm using plastic see thru' templates for a curved star hexagon - just another way to play with hexis!!! I wanted an overall soft pastel look, so ages ago I had picked out a variety of random lights from my scrap basket. Today on re -looking at it, I decided that I needed to throw in a sprinkling of darker fabrics just to make all the lighter ones sparkle. Sometimes its actually good to leave things for awhile b4 rushing in!!!!! And, the other thought I had was that if & when I get tired of all the hand sewing, I could just maybe throw in one or three one fabric hexis just to help fill the gaps!!! maybe?